When visitors enter Rocky Mountain National Park and approach veteran ranger Barry Sweet, he asks them a series of questions that goes something like this: Do you want to camp around aspen trees or pine trees? Do you want to hike near rivers or lakes? Do you prefer waterfalls or glaciers? Are you the kind of person who likes to be at the feet of mountains looking up or at the tops of mountains looking down? Rocky Mountain National Park, he says, has it all. Among the park’s bragging rights are 78 summits above 12,000 feet and one of the most expansive swaths of alpine tundra in the contiguous United States. And then there’s the Continental Divide, which blitzes through the park giving its eastern and western sectors distinct characters. Throw in a few bears, moose, and mountain lions for good measure, and you’ve got an all-around outdoorsman’s paradise with 355 miles of trails and 267 backcountry campsites to escape from it all. Sweet says those who’ve budgeted minimal time in the park and are looking for the highlight reel should head for Glacier Gorge, which lies beneath Long’s Peak (the tallest mountain in the park at 14,259 feet). This 9.4-mile roundtrip hike will take you by a spectacular ridgeline known as the Keyboard of the Winds. “They say that when the wind blows through there it makes a melodic and harmonic sound,” Sweet explains. The glaciers didn’t carve out a lot of loop trails in the Rocky Mountains, so Sweet says almost all trails in the park dive into and out of canyons. The Black Lake hike thru Glacier Gorge is no exception. Start at the Glacier Gorge Trailhead and hike past the oft photographed Alberta Falls, subalpine Mills Lake and several marshes frequented by elk in route to the serene Black Lake before retracing your steps back to the start. 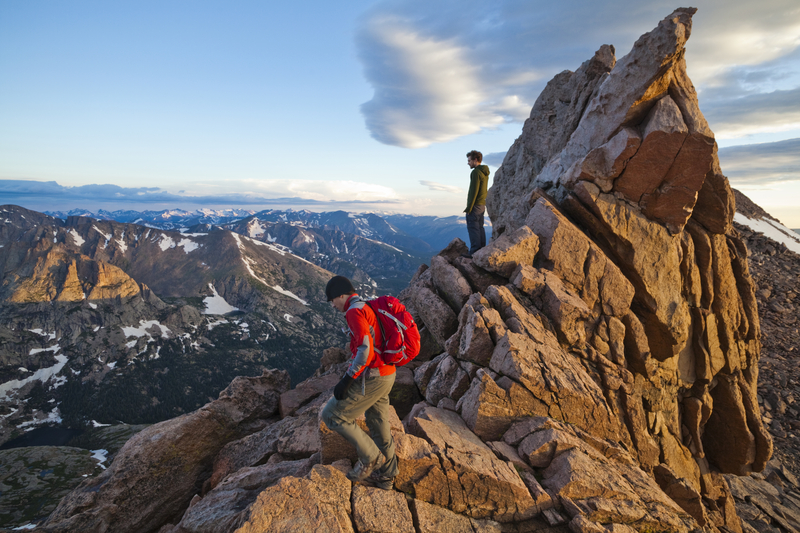 Sweet says there are two iconic hikes for backpackers craving a night in the backcountry. The first is the ambling Colorado River trail in the park’s lesser-visited northwestern corner. “The trail goes alongside the Colorado River, which starts in Rocky Mountain National Park and then carves the Grand Canyon as it flows into Arizona,” he explains. Set off from the Colorado River trailhead, scoping out the remains of the short-lived mining settlement Lulu City before camping at La Poudre Pass 6.7 miles away and returning the following day. Due south of the park, on the southern end of the state, lies an implausibly different landscape within The Great Sand Dunes. 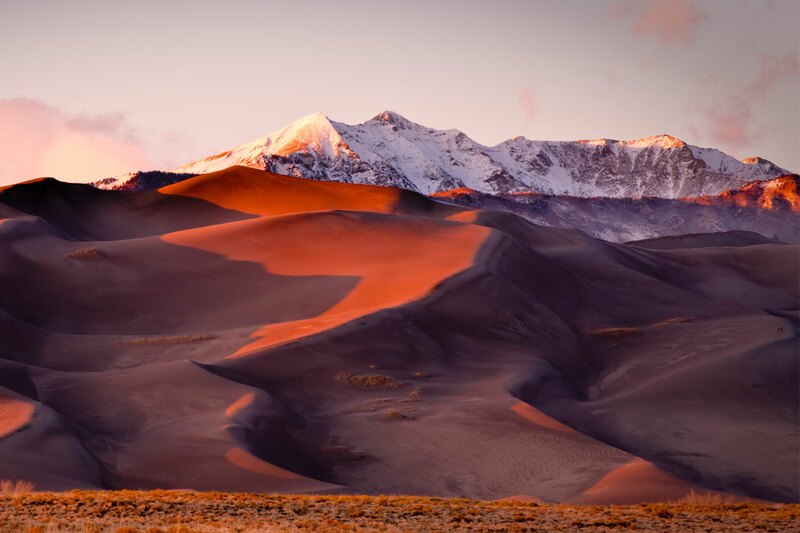 Sweet says visiting this much newer national park is “kind of like being transported to the Sahara without leaving Colorado” because it contains the tallest sand dunes in North America, which soar 750 feet above the floor of the San Luis Valley. Those seeking to trade in tents for top-notch accommodations need not look further than the Delta Terra Mountain Chateau. About four miles from Rocky Mountain, this mountainside resort in Estes Park is a quiet retreat with cabins, suites, and The Chateau, which comes with a home theater, sauna, and spa treatment room (in case you need a massage to soothe sore muscles from all that hiking you’ve been doing). For something a tad less luxe, enjoy the Estes Wildwood Inn, where you can slink into the embrace of a steamy hot tub while taking in soaring mountain views.